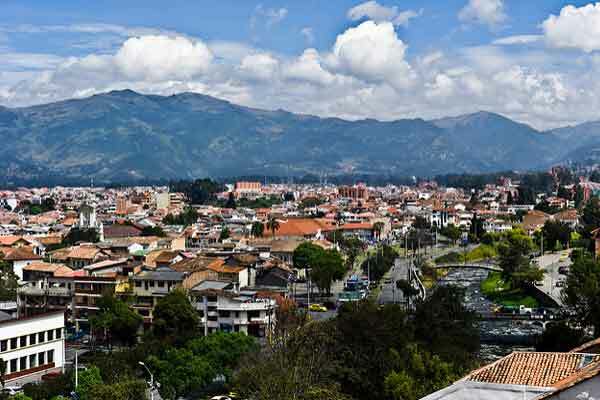 One of the things I love about living in Cuenca, Ecuador, after spending nearly 40 years in the sweltering heat of Florida, is that I can actually walk outside during the day without worrying if the heat steaming from the blacktop will melt the soles of my tennis shoes. In Florida, I lived like a mole person, only venturing out at dawn and dusk, because the heat-stroke level temperatures made walking during the day impossible most of the year. 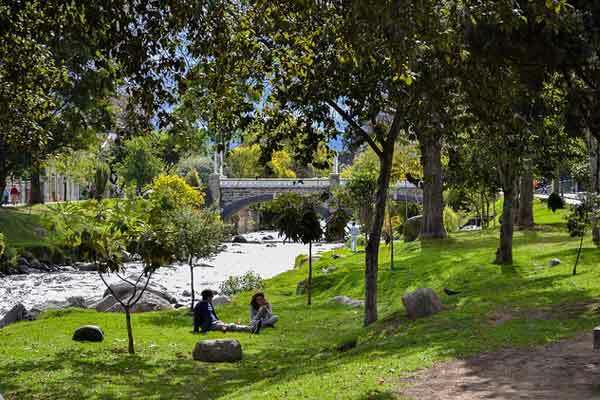 Consequentially, living in the temperate, walkable city of Cuenca, a Spanish colonial town of 500,000 nestled in the Andes Mountains, has opened up a new outdoor playground for me. The only requirement for any outing in Cuenca is to make sure you bring a jacket and umbrella as the weather typically gets warmer throughout the day (74 F) and cools in the evening (59 F) and showers are a daily likelihood. Because of Cuenca’s year-round spring-like weather, a lot of my activities focus on being outside all day until the cows come home (which they do, walking on long ropes guided by festively dress indigenous women). Although not everything I do is outside, it’s nice to know it now predominates my leisure activities. Here are 10 of the ways I love to spend my days in Cuenca. I can spend hours lost in the hundreds of tiendas in El Centro shopping for anything from freshly baked breads and fragrant Italian cheeses to mining for unique décor to hang on my walls. I start at San Francisco market, where artisans sell alpaca blankets, colorful hammocks, and beautiful hand-crocheted sweaters and then wind myself through the tienda-lined cobblestone streets where I window shop for hours. When I get tired, I stop in one of the numerous juice cafes and pick from an array of colorful smoothies—mango, berry, pineapple or a papaya concoction for instant energy. I could easily live under house arrest in Cuenca because there’s so much to see from my front window. On some mornings, polka-sounding music blares from trucks toting propane tanks down the street alerting us that gas is for sale. We have nightly fireworks displays and a regular line up of parades celebrating anything that moves. The revelry picks up during the holidays when little girls dressed as angels ride on elaborately decorated horses in parades in front of our house, not to be outdone by the mariachi bands who accompany them. 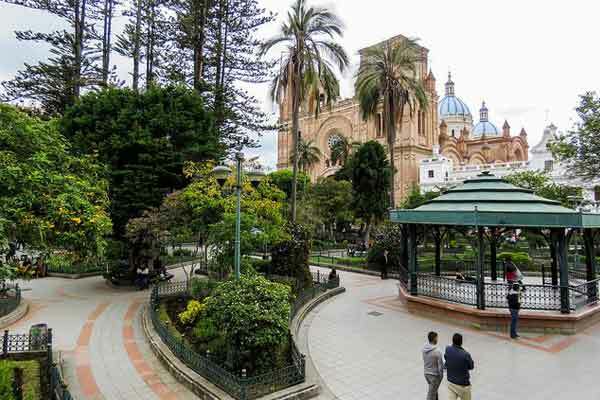 The downtown heart of Cuenca is Parque Calderon, the city’s town square, which is surrounded by the ornate New Cathedral, a myriad of government buildings, fine restaurants, and awe-inspiring Spanish colonial architecture. It’s a community ritual to grab ice cream at Tutto Freddo, an Ecuadorian mainstay selling tubs of ice cream they double scoop with flavors such as tangy mango or papaya. I load up on Oreo ice cream before walking across the street to the park, where I sit on a bench and watch locals lure tourists to pose with husky St. Bernards for photo opps and break-dancers swirl on the floor of the gazebo. I do not know how to paint, but I do know how to drink wine. My friends Pat, Stefani, and I hook up at least once a month to demonstrate why we won’t have a showing at a prestigious gallery. Our teacher, Amelia, makes the more than 15 ill-fated artists in my class feel like we are Van Goghs, only with intact ears. By the second glass of wine, we don’t care what we are painting as much as that we are having fun. I have four dogs, and two of them demand daily walks. They start nagging me after my first cup of coffee so my husband, Rowland, and I leash them up and take them on walks on the Yanuncay River trail. My husband likes to amaze the Ecuadorians, who largely fear my German Shepherd, by having her sit, stay, and lay down for a tummy rub. Our Bassett thinks of herself as eye candy and does no tricks to impress. The hour walks we take in the mornings are met with the sounds of a rushing river, Ecuadorians jogging the trail, and children kicking soccer balls. For $3.50 ($2 when they run specials) I can chow down on a Ranchero T-Rex burger made with a half-pound of hamburger meat topped with ranchero sauce, lettuce, tomatoes, sautéed onions, bacon, and cheese, along with a cilantro-laced mojito for an additional $1.75. Located in El Centro, the three table, hole-in-the wall diner features proprietor Caesar flipping the burgers on the grill. Recently I went on a three-hour hike in the Cajas Mountains (part of the Andes Range), in a 70,500-acre national park filled with tundra vegetation on a rugged landscape of mountains and valleys located about 20 miles west from Cuenca at an altitude of 13,222 feet. Standing at the Three Crosses monument marking the continental divide, I followed the tradition of placing a stone at the base of the monument in memory of those who have died on the trail and as good luck for the hikers heading out to experience a moment at a sublime Andean summit. It’s a humbling experience, reminding me that I’m only here for a blink in time and to breathe it all in. After years of working 50-hour weeks at a job where I was on call 24/7, it’s nice to just be lazy. I love sipping coffee until 10 a.m. uninterrupted and doing something I never had time to do while working…dallying. I have mastered the internet here, so I can watch Netflix, Hulu, or U.S. cable TV, and I don’t mind disclosing that I can stream Forensic Files all day in my pajamas without guilt. 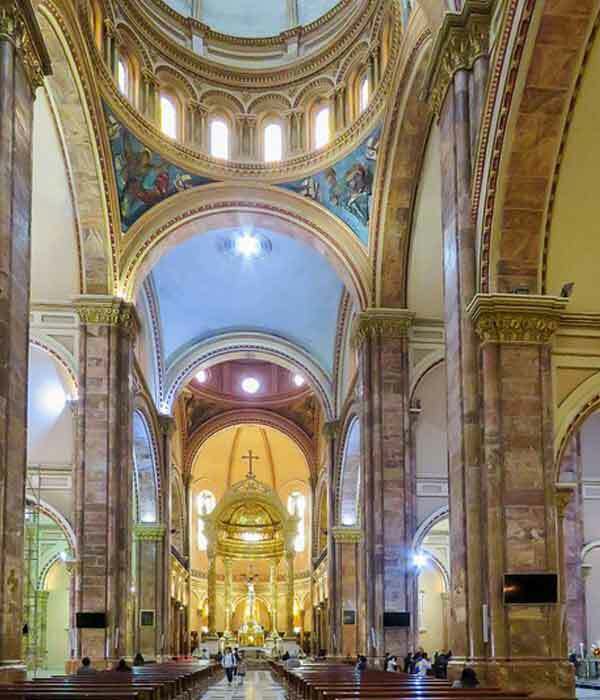 Located at Parque de Calderon, the Cathedral of the Immaculate Conception, better known as the New Cathedral, boasts the three baby blue mosaic domes that helped make Cuenca a UNESCO World Heritage Site. I buy three candles from a blind hombre in front of the church and walk into the massive sanctuary, with its magnificent gold embossed altar. I like to join the hundreds of locals for the noon service, and although I don’t understand the Spanish sermon, the music and chanting of prayers give me peace. I light a candle for my family, friends, and for peace in the world at one of the many alcoves housing statues of religious figures. Spanish lessons are right of passage for an expat. It’s a wonderful way to make friends with others who slaughter the Spanish language and laugh at our fumblings. I take private lessons with Lucia, my long-suffering Spanish teacher, who patiently corrects my Spanglish. We spend an hour a week talking about politics, our philosophies, and what our families and friends are up to…leaving me to understand that although we are from different cultures, our daily lives aren’t very different. Every so often I lunch with friends and we talk about the weird things we’ve done in Ecuador that you just can’t do in the United States. We’ve eaten cuy (Guinea pig) roasted on spits, ridden horses during the full moon in the Cajas Mountains, and been spit on by Shamans. 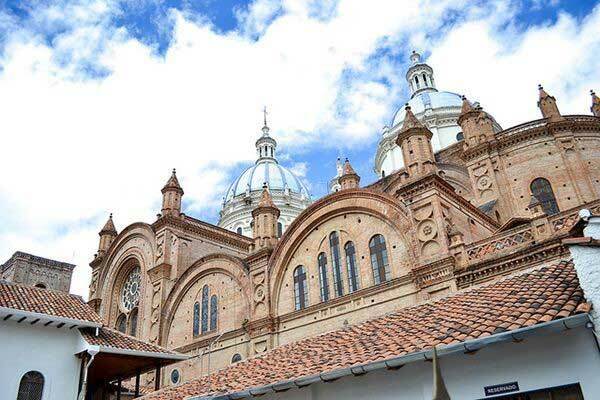 Although Cuenca is a cosmopolitan city with all the modern conveniences of home, it still maintains its cultural traditions. So it’s no wonder we find weird and fun things to do here. Most tourists are enthralled by the three baby blue domes of the New Cathedral and its massive gold embossed sanctuary. 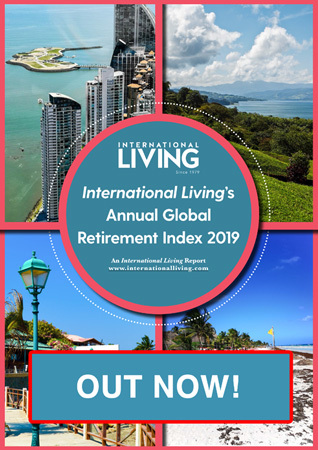 At any time, chanting can be heard and if you are lucky enough to get there by noon, you can enjoy the service along with several hundred Ecuadorians. For those who go on the $3 tour, you can visit the crypt where numerous local religious dignitaries are buried, and a climb up the 150 steps of a spiral staircase tower where you will be at eyeball level with the domes and have a spectacular view of the city. Please note: It’s a steep, narrow climb up the spiral staircase and there’s no elevator…or bathroom. Cathedral de la Inmaculada Concepcion, Padre Aguirre 8-27 | In front of Parque Calderon, Cuenca 010150, http://iglesiadecuenca.ec/. The misnamed Panama hats are actually an Ecuadorian invention and major export. The cost can range from $40 up in downtown El Centro. But if your budget is tight, take the $2 bus from Terminal Terrestre to Sigsig to the Asociación de Toquilleras de María Auxiliadora (ATMA), which is a women’s Fair-Trade cooperative that produces artisan crafts, and in particular, panama hats. Thanks to the learning curb of making hats, there are plenty of “seconds” so you can snag a genuine Panama Hat at the co-op for $10 and up that look as good as the ones for sale downtown. 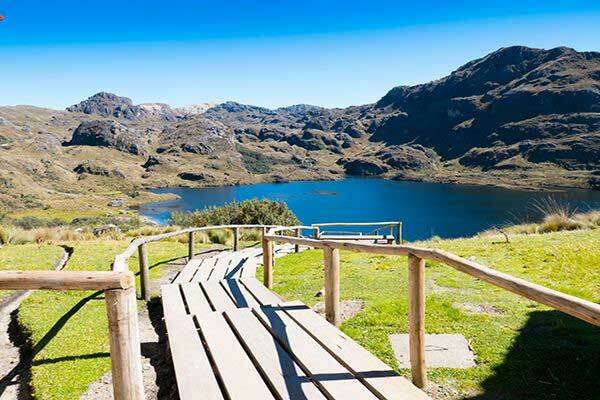 A day of trout fishing in the Cajas will reap what you have sowed—a large trout which you take to the cook at Rancho Prado. The trout is lightly breaded and dropped in a large wok of lard where they fry up the crunchiest trout in the Cajas. Your trout is served in the restaurant, a small round stone and adobe yurt with a large fireplace under a grass roof and ceiling blackened by the smoke. 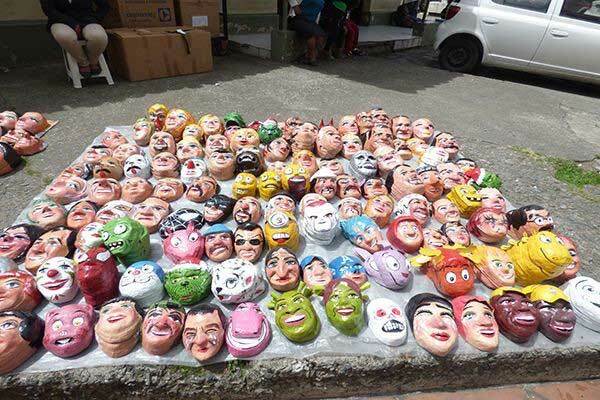 On New Year’s Eve, thousands of Ecuadorians buy up large doll-like paper stuffed effigies and don them with papier-mâché masks representing the things they want to torch (politicians, bad bosses, ex-wives) and at midnight throw them in a pile and torch them sending the bad mojo from the past year up in smoke. The brave (or drunk) locals jump over the fire three times to gain good luck for the next year. Anyone can participate – just buy up your effigy, choose your mask, walk out your front door, and join the revelry. Ecuador is home to some of the best chocolate in the world, and the world’s most expensive chocolate bar, which retails at $300 for a bar less than the size of large $1.50 Hershey bar. To see how chocolate is made, Amedeo Chocolate—Cuenca’s only Artisanal chocolate maker using world class award winning organic heirloom cacao, periodically arranges tours of their chocolate factory, which includes a Willy Wonka view of vats of chocolate and a sampling of their wares for $20 per person. 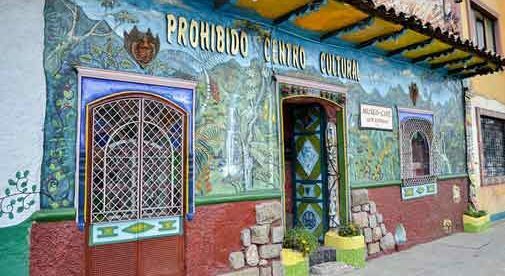 In the barrio of Banos, a 30-minute bus ride from downtown Cuenca, lies the Novaqua Spa, where for $38 and up you can enjoy an hour massage in a peaceful private cave with candles smelling of eucalyptus and lavender. The thermal waters from Baños de Cuenca are well known around the world because of its therapeutics properties. The spa also has a hot beverage station, thermal pool, natural steam bath, sauna, steam box, volcanic mud cave, and a nice restaurant serving food and drinks. If you yearn for less expensive massages, there’s a myriad of offerings you can spot just walking down El Centro’s cobblestone streets—which will run you about $20 an hour. Tres Cruses (three crosses) stands at approximately 14,000 feet elevation on the Continental Divide, where indigenous people transported everything from cars to grand pianos across the Cajas Mountains. Many people have died crossing the divide, so the tradition is to place a stone on the crossing to honor the dead and to give safe passage to anyone hiking this stretch. You can get tours to take you on the three-hour downhill hike from the Crosses to get to one of the best viewing points of the Andes Mountain at the Toreadora Ranger station at 12,992 feet. You can prop your feet up by the fireplace and drink coffee or chug a beer and eat fresh trout straight from the river while gazing out at miles of mountains. Everywhere you walk in Cuenca you will eventually run into a whole hog roasting on a stick. 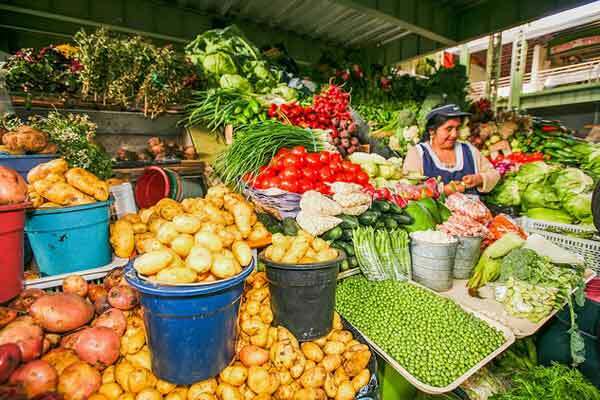 If you want a real Ecuadorian experience, pop into the Mercado 9 de Octubre, go past the sides of beef hanging from hooks on the first floor and the fresh fruits and vegetables on the second floor, to the third-floor cafe sporting picnic table seating. A plate of roasted pork, rice, and corn will set you back $3.00 including a freshly blended fruit smoothie made from the fruit of your choice. Take a trip to the Yurak Allpa Rescue Center in Tarqui when you have back pain to get yourself an Ostrich massage. Just lay down on the wooden outdoor massage table and the proprietor will throw corn kernels on your back, and the Ostriches will give you an ever-so-light pecking on your back to eat their favorite snack. The Animal Rescue has rescued, parrots, birds, falcons, monkeys, rams, deer, and even a water buffalo among its menagerie of wild animals. They also have big prey birds that will land on extended arms for the brave. There are some things a nun shouldn’t see. 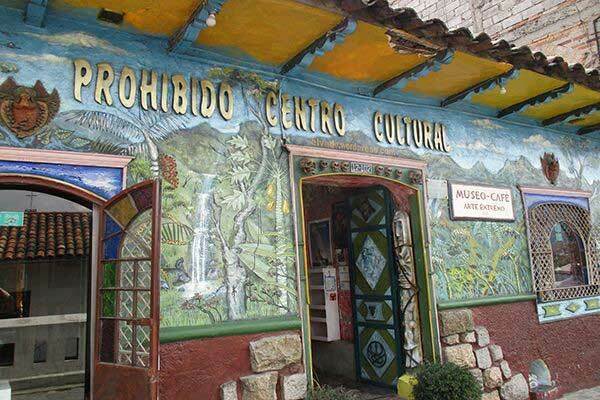 Ecuadorians rarely go to the Prohibido Centro Cultural because of their religious beliefs and you won’t see it advertised in the “top places to go” because the artwork on display includes sexual-infused paintings, Armadillo-headed aliens, and even a coffin to lay down in in case you’re tired. You can also take art classes including screen printing and make your own gothic artwork. You haven’t lived until you’ve had a cleansing by a Shaman, which you can arrange for a private cleansing for around $20 or at Rotary Market on Fridays for $2. Typically, the professional Shamans treatment involves swishing herbs all over your face, back and stomach, rubbing an egg over your body to absorb impurities, blowing fire against your belly to singe out evil, and a forceful round of spitting on your face and stomach with a concoction that smells like alcohol, which you’ll probably need after the cleansing.